The best thing you can do for your body when you’re in pain is to visit us for an examination. Prescription and over-the-counter medications often produce quick relief. Until they don’t. That’s when even larger dosages are required. Chiropractic care takes a very different approach. Pain, or other symptoms, is a language your body uses to alert you that a limit has been reached. 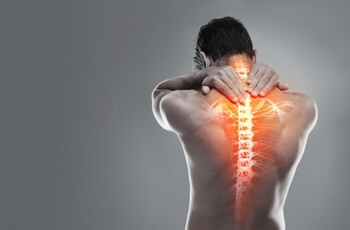 If a vertebra is out of place, even slightly, it can put pressure on the spinal cord or the nerves that exit the spine. The resulting interference to nerve communications can be the cause of a host of health issues.